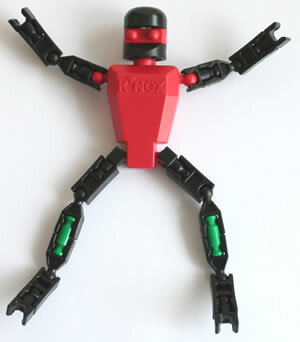 Hint X3 describes two special Kid K'NEX pivot connectors that are supplied in the Kid K'NEX Models that Move set. This set also contains two more special connectors. The first is the 2-way pivot connector shown in the photo opposite. This is very useful in models such as swings. The second is the "joint variable-angle" shown opposite. 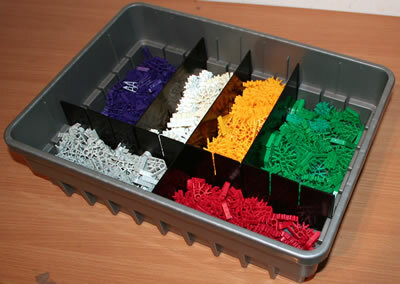 This allows a Kid K'NEX rod to be attached at a variety of different angles, and then, if required, moved when the model is played with. 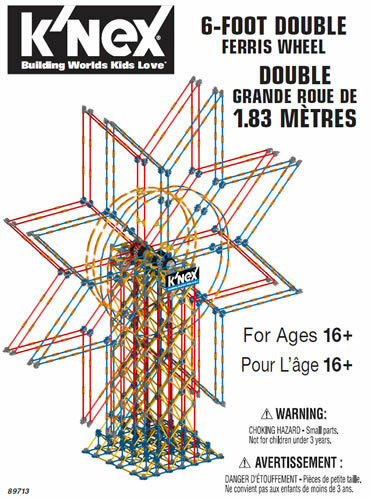 An example of use is attaching legs to Kid K'NEX bodies.